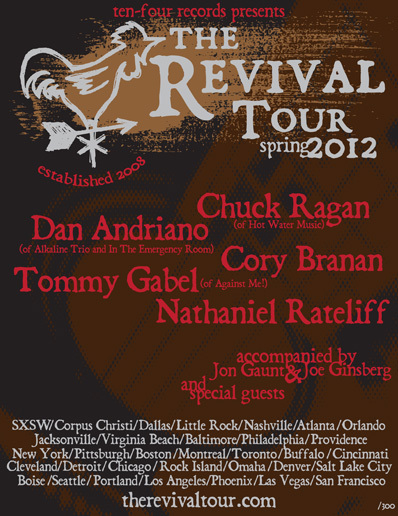 Want to win tickets to see The Revival Tour this Thursday, March 22 at The Mercy Lounge in Nashville, and a test pressing of Chuck Ragan’s new die cut 7”? Click the button below to enter the contest. The deadline is March 21 at 1 p.m.